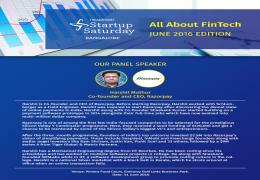 A recent report by Nasscom predicts that the Indian FinTech software market is estimated to cross $2 billion by 2020. 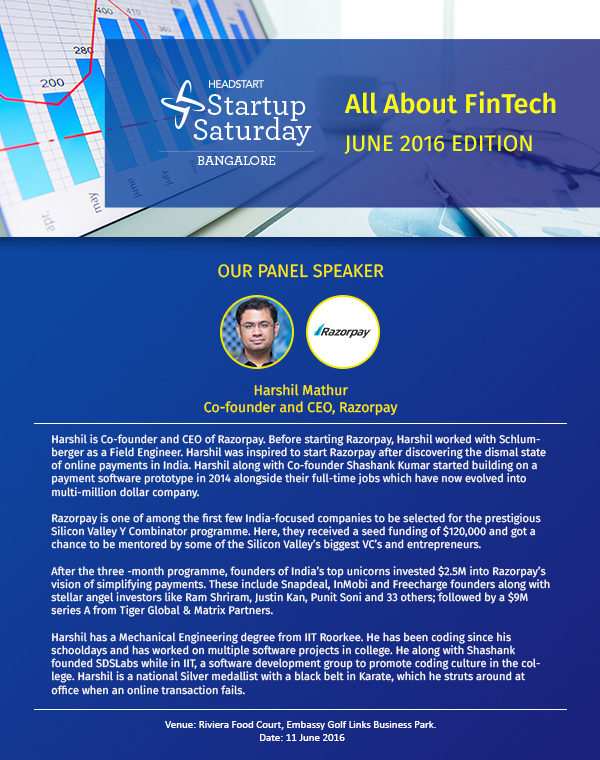 With almost $450 million being invested in FinTech product startups in 2015, the market is bound to see a rapid growth in the years to come. It’s no wonder that several FinTech focused accelerators and incubators such as PayPal’s StarTank and Yes Bank - T-Hub’s World Class Centre of Excellence (CoE), are being set up in India to nurture the FinTech startup ecosystem. 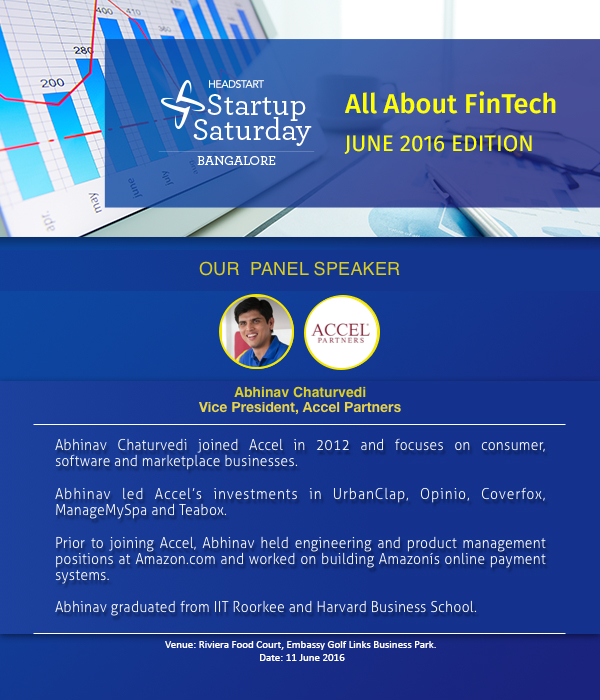 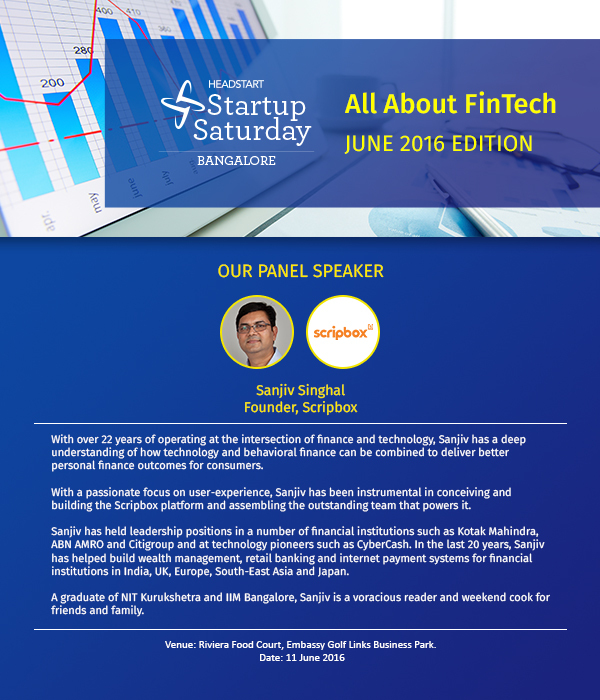 After a grand Centennial edition, Startup Saturday Bangalore is here again, exploring the theme ‘All About FinTech’ If you are FinTech startup or an aspiring entrepreneur interested in learning more about starting up in the Fintech space, then do block your calendar for Startup Saturday Bangalore on 11th June. 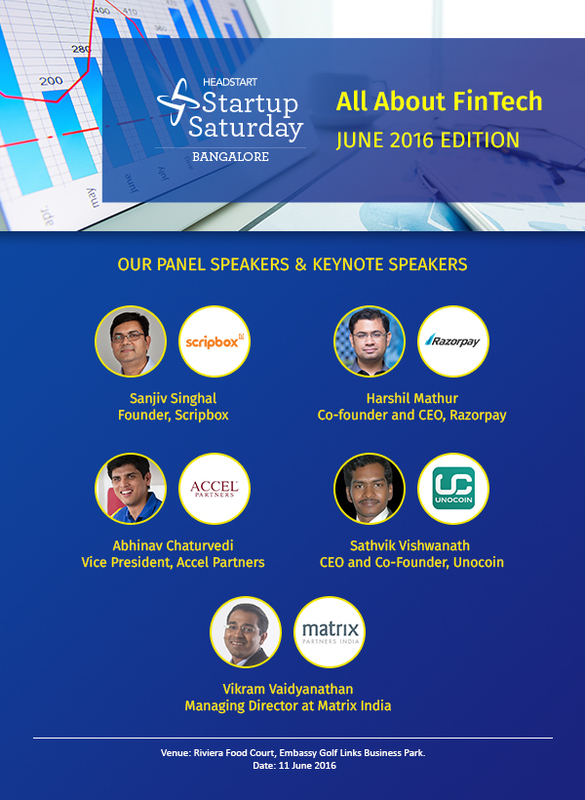 The event, apart from featuring insightful talks by experienced entrepreneurs and demos by emerging FinTech startups, will provide you an opportunity to network and share your ideas with other like-minded individuals. 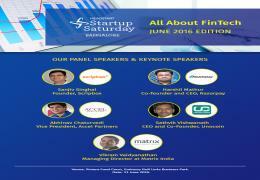 Agenda will be uploaded soon.